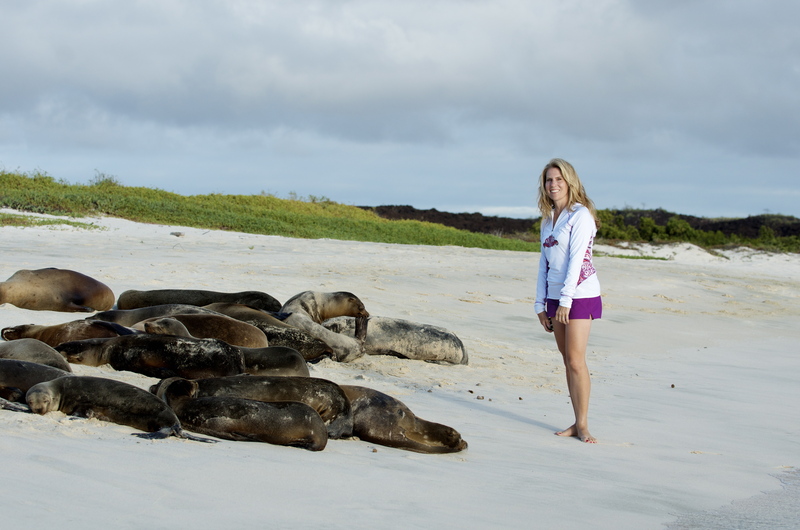 Here I am being a wise bunny and soaking up the moment with some sea lions in the Galapagos Islands. The wise bunny knows there is no tomorrow, only a string of todays. Well, crap. That’s a wrinkle in my procrastination plans. I try to remind myself of life’s fleeting nature. I try not to take anything for granted. I get out of the car every morning at school drop off to give my boys a hug and a kiss. They hate it. On some days, they tear out of the car and I have to chase them across the lawn in front of the building to do it, catching them by their backpacks and kissing them on their heads in front of their teachers and friends and embarrassing the living hell out of them, but I make sure I am never in too much of a rush to miss the opportunity. I may only have today to show them how much I love them. It’s worth the full-scale sprint in my yoga pants in front of the carpool parents because you just never know. I live 6.5 miles from Columbine High School. My heart is engraved with unexpected loss. I seriously doubt that overnight a full-scale invasion by a malevolent alien race will kill my chances for writing tomorrow. I also doubt that I will die quietly in my sleep (knock on wood), which would certainly render it more difficult for me to compose anything on WordPress tomorrow. (There might be a story idea in there, though, about zombie writers.) In all likelihood, there will be time for me to write later because I will wake up tomorrow, chase my kids down at school, and return home to my laptop refreshed and hopefully with something clever or at least vaguely interesting to say. But, just in case, I will put these words down now as an insurance policy because I understand that no one is guaranteed a tomorrow. If you spend too much time counting on future moments, you fritter away the ones that are happening now. There’s always time in the present. Recognize it’s there and make the most of it. Today is as good as it gets, people. Each day is a pearl on a string. If you’re lucky, one day you’ll have a magnificent strand. 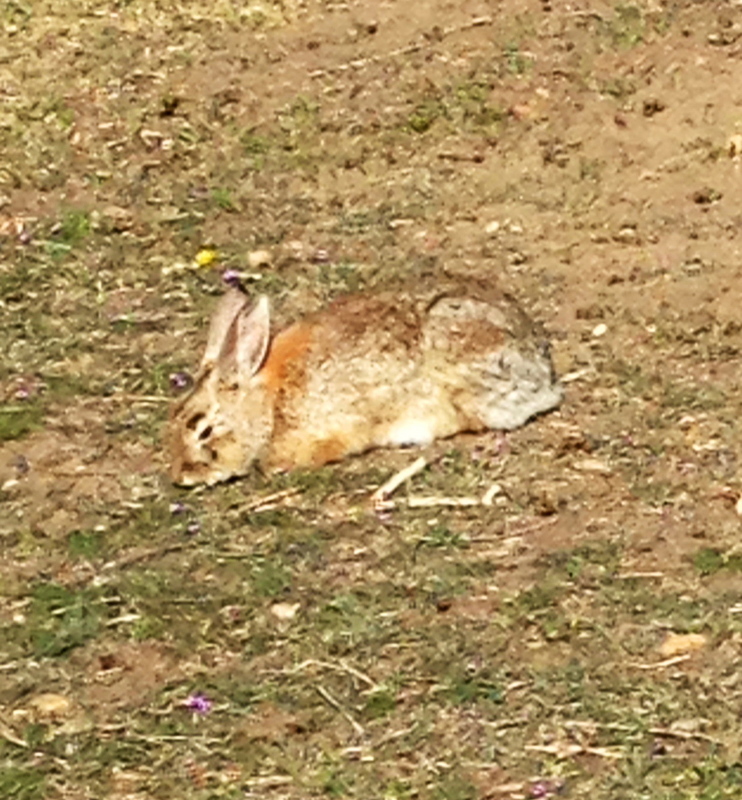 A bunny I saw on my morning walk. It was not thinking. It is better to hop than to think of hopping. Well, crap. There it is in a nutshell. My problem. You see, I am a great thinker. 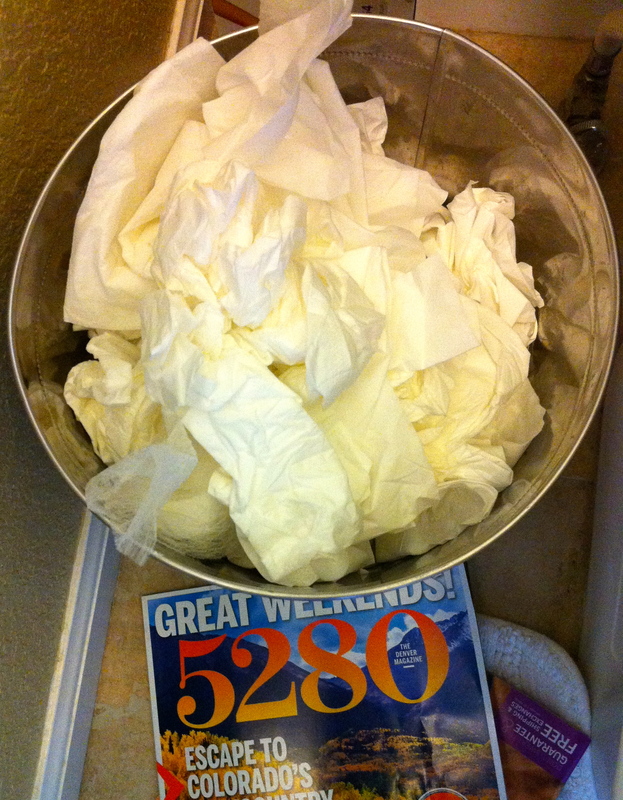 I’m not exaggerating. I am really great at thinking. It’s my favorite thing to do. I’m curious and intellectually open-minded, happy to accept the world for all its grey matter (and not the black and white that others imagine exists). The problem is that sometimes I spend so much time trapped in my skull, thinking, weighing options, and organizing mental tidbits, that I run out of time to do something. In this way, I am perpetually paralyzed…too tangled in thought simply to be a human being and too overwhelmed by possibility to be a human doing. I am frozen and worthless. I need to blow up today’s quote to poster size and mount to the wall in my office. Sometimes the best thing to do is tell the chattering monkeys in my mind to shut the hell up and then start hopping forward. I can worry about the quality of my written work after I’ve actually written something down. So just like the zoo keepers in Kansas City, tonight I decided to toss those chimps back into their enclosure so I could stop thinking about writing and just write. It doesn’t matter what I churn out. It’s the act of writing and not the thought of writing that makes a writer. My friend Heather recently sent me this amazing book by Anne Lamott. In Bird by Bird, Anne, a published author many times over, confesses her own struggle with writer’s block. I am gifted at stopping and declaring defeat before I even begin. And it helps to know that even well-known writers experience a jungle-drum-level fear of doom when they’re facing a deadline, self-imposed or otherwise. Sometimes we humans are our own worst enemies. I stress myself out so much about what I should say that I end up saying nothing…something I did most of the days last year. But that has got to stop. In time and with enough practice, I will spend less time thinking and more time producing. Not every day is going yield a worthwhile piece. Some days I might be fortunate to land squarely somewhere between schlock and drivel. But even schlock and drivel are a tangible result of effort, a venture out of my self-prescribed mental straitjacket. It’s a step (or hop) in the direction I want to head. A bunny that fails to hop ends up Coyote Chow. I’m not prolific yet, but I’m sure I’m not ready to be finished either. What hops have you been missing? 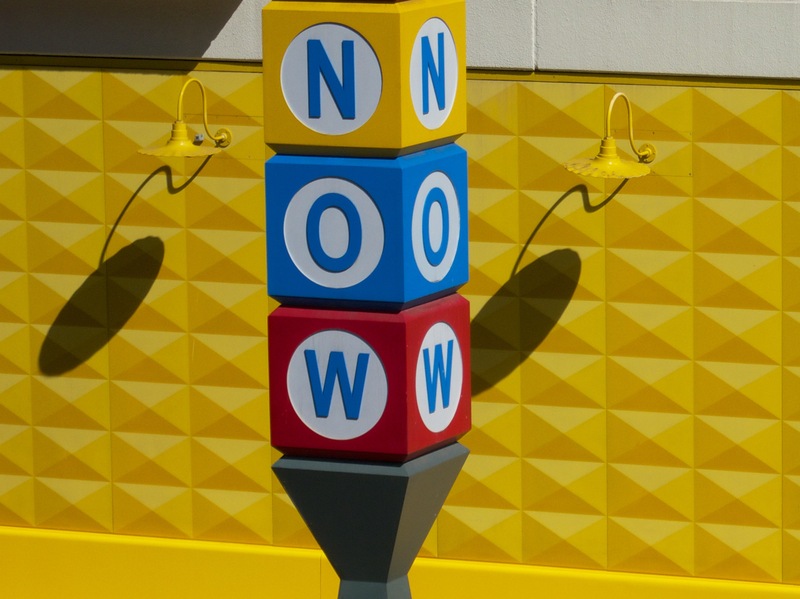 Life, like yoga, is all about the here and now. Another night and the clock is rapidly approaching 10:30. Nearly a year ago when I started this blog, I promised myself one entry per day, sometime between midnight and 11:59 p.m. The minutes on the clock are dwindling down to my self-imposed deadline, and I sit here with an empty brain. An empty brain is good when you’re trying to fall asleep, which is what I should be doing. An empty brain is a bad thing, however, when you’re 1.5 hours from your writing deadline and no inspiration has arrived all day. Some days, it’s simply a struggle to get through. On those days, when I should be writing, I want nothing more than sleep. Today is one of those days. To ensure that I get some sleep tonight, I’m going to go back to my mindset 1.5 hours when I was in yoga class. At the end of this coming January, I will have completed my fourth year as a practicing yogi. Hard to believe that four years ago I was so afraid to attempt yoga that I made my sister come with me to my first class. True story. Now, I can’t imagine going through the rest of my days without it. It’s not just exercise. It’s a metaphor for my life. I’m flexible and can bend over backwards, but I’m still not open. I’m strong and can stand on my head if I set my mind to it, but some days I am incredibly off balance. Yoga helps me find the peace I lack. As I was cleaning up after class tonight, my mind was racing through the valuable life lessons yoga has taught me. So, I think I will share those tidbits here because…well, I need something to write about. The most important thing is to show up. When something doesn’t feel quite right, don’t force it. You’ll only end up hurt. Everyone is wrapped up in their own world. No one is paying attention to you, so let go and be free of ego. When things get tough, just breathe. We all have our struggles and our gifts. Mind your own. Try something new. It might not be your thing or it could be your new favorite thing. You’ll never know until you try. If something doesn’t serve you, let it go. No sense in lugging around worthless baggage. Don’t be so hard on yourself. Instead of criticizing yourself for what you can’t do, be grateful for all that you can. Discomfort is okay. Acknowledge it and let it go. It’s in discomfort that you find opportunity for growth. 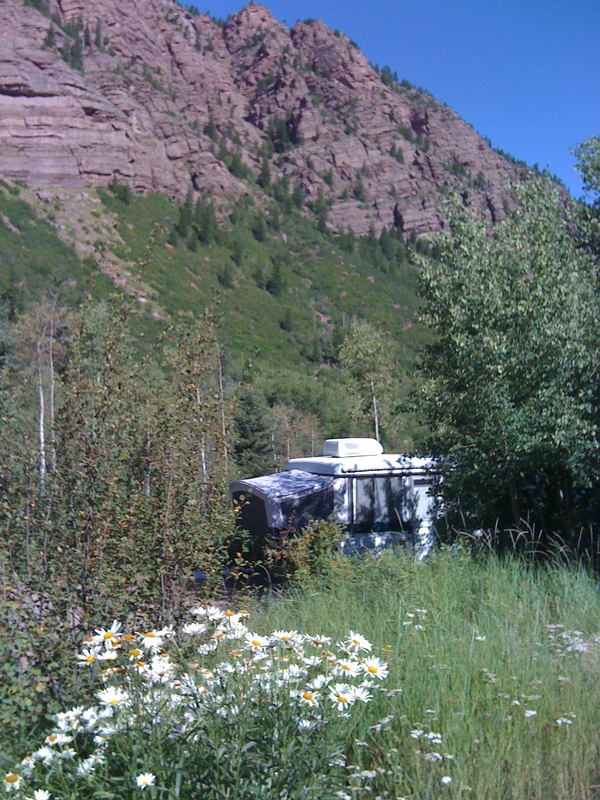 Our pop-up camper, situated in a meadow near Redstone, Colorado. I went to bed last night with visions of the Flatirons in Boulder on fire, some of my favorite hiking spots charred and left as ash. My thoughts drifted to the 32,000 people evacuated from Colorado Springs and the cadets asked to leave the Air Force Academy, wondering if the firestorm nightmare would stop before it reached their home. And, I was thinking about the folks in Fort Collins who are approaching their third week with a fire that has burned over 87,000 acres and is still only 65% contained. As a consequence of the barrage of images of homes consumed by fires and landmarks reduced to nothing, I walked around this morning in a smoky haze of sadness. My beautiful home state is burning. I’m sure my fondness for “home” is the same as everyone else’s. I’ve been fortunate enough to live most of my life in this gorgeous state. During the years that I lived away, I would drive back home and upon passing the Welcome to Colorful Colorado sign I would instantly feel more at peace. As much as I love travel, I love Colorado more. I am the person I am because of my life experiences here. The mountains are in my blood. When I die, I want my ashes scattered here. This is where I belong. Plain and simple. But, in all my sadness today, feeling this incredible sense of loss for places I’ve known and loved that are either burning or in danger of it, I had a revelation. All is not lost. At least, not yet. I started thinking about next week, our national holiday. There will be no fireworks this year; fire bans statewide have ensured that. But, there’s still so much of Colorado that can be celebrated even without fireworks. So, next Wednesday morning, fires be damned, we’re hooking the pop-up to the FJ Cruiser and we’re heading to the White River National Forest near Marble, Colorado. For three days and nights, the wind in the aspens will be our patriotic tune and the shooting stars will be our fireworks. The more I think about it, the more perfect our holiday becomes. We will celebrate our nation’s independence by enjoying our own. What could be better than that? Yawn and ick. I just reread what I wrote earlier today and didn’t have a chance to getting around to publishing. Sometimes my writing even bores me. Holy saccharin schlock. I realize that I am writing this blog to learn about the writing process, to get into the practice of writing, and to understand more about how writing “works” (or doesn’t work) for me. What I discovered today is that there are days when you will write and feel like a total hack. You’ll wonder why you even wasted your time. Still, that’s part of the experience of writing. So, I’m publishing this as is, and later I can remember that some days it just doesn’t work, and that’s okay. Like life, with writing there will be good days and bad days. Chalking today up to a bad day and moving on. Hopefully tomorrow finds me less melancholy and more inspired.